I purchased Tay berries, Logan berries, Marion berries & Strawberries at the market this week and my eyes are always bigger than my stomach! Fresh organic berries have a short & precious shelf life. Often times I find myself clearing out the fridge by making a pie! 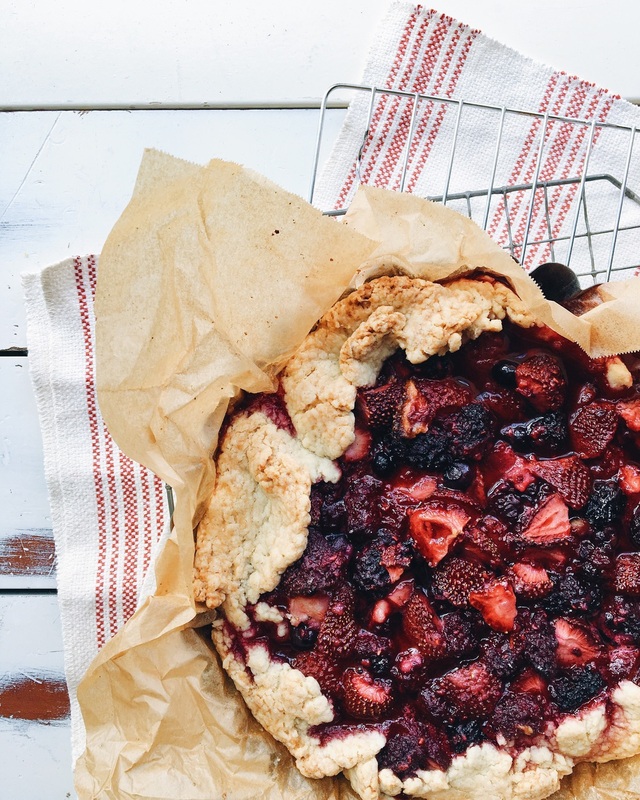 I used 6-7 cups of fruit and I know I needed to employ a tart pan to keep all that juicy summer goodness intact while it baked! Tay berries, have a mild sweet floral taste and have quickly become my favorite. Logan berries also have a tart bite with a juicy finish. I opted to use a little vanilla sugar I got from Krista's Baking Co in the crust and that was a great choice! Make your crust first. I put everything in my stand mixer except the water. I used the paddle attachment to mix until my dough looked like large corneal. With the mixer on low, add the water slowly. The moment the dough begins to come together turn it out onto a 16 inch peice of parchment. Form in into a flat disc then place it in the fridge for about 30 minutes. I did mine ahead and left it over night. To make the filling I placed everything into a large mixing bowl and gently folded it together. To assemble to crostata, use a removable sides 10 inch tart pan or a spring form pan. You will need this step in order to achieve the deep dish affect. Remove the crust from the fridge and allow it to stand at room temp for 30 minutes. Sprinkle your clean surface with flour and flour your rolling pin. Roll the crust out into a 15 inch round. Line your pan with parchment and gently sink the crust into the pan. 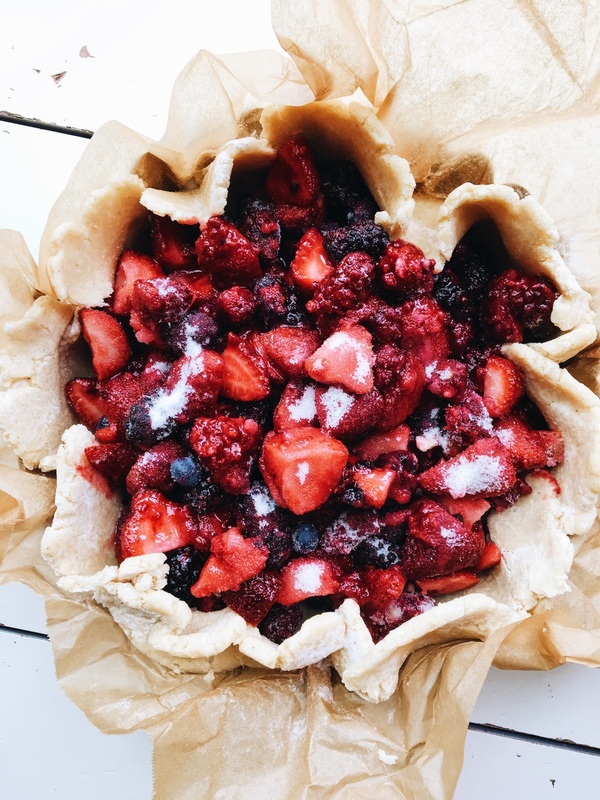 Put the berries into the crust and fold excess dough over the berries. Bake in a pre-heated 350 degree oven for 60-75 minutes. Rotating halfway through baking. Serve it warm with ice cream!